Saint Tropez, a beautiful and famed destination on the French Rivera, is surrounded by endless white sandy beaches and a sunny climate. Saint Tropez is known as a playground for the rich and Hollywood elite. More modest travelers come to work on their tan, or unload money on expensive drinks in any of the abundant and stylish nightclubs. Celebrity watching is also popular. On the whole, Saint Tropez is hip, upscale, and expensive, but never-the-less, a fun city to kick back in. Usually France vacations include some time on the beach, and Saint Tropez offers miles of sand. The Plage de Tahiti, 2.5 miles southeast of town, is the best in the area. If swimwear is making you feel restricted, head east to La Moutte, a naturiste beach, and shed your cloths. Many of the beaches near Saint Tropez are nudist beaches. Most France vacations in Saint Tropez are about the glitz and glamour of dinning like A-list stars, and sunning on the brilliant beaches. While monuments are usually secondary, if you crave a break from the sun there are a few worth checking out. Musee de l’Annonciade, located in an abandoned chapel, houses a rich collection of modern art, including works by Signac, Bonnard, and Matisse. The Citadella de Saint Tropez offers some of the best views of the bay, and a few peacocks wandering the grounds. Inside, the citadel recounts the maritime history of the area, and the allied landings of 1944. Those on a St Tropez holiday will want to spend some time at a nightclub. Les Caves du Roy is in the swanky Hotel Byblos, where high society sips. Like most joints in St Tropez, drinks are expensive. Bodega de Papagayo is an Asian influenced bar and restaurant, populated by a young crowd. For more salt of the earth drinking, try Kelly’s Irish Pub, featuring Guinness, live music, and Irish lovers. 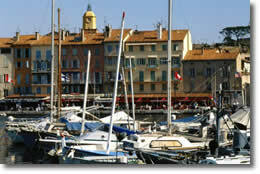 St Tropez holiday lodging is expensive, however, some reasonable deals are possible. A good value is Lou Cagnard, a traditional farmhouse surrounded by plants. Le Baron is a calm, quiet hotel overlooking the citadel. If you want to rub noses with the elite, stay at Le Yaca, which has great views of the bay, a pool, and peacocks roaming about. Other France tourist attractions include nearby Nice, a more down-to-earth version of a St Tropez holiday. Nice has plentiful beaches, more artistic culture, and a vibrant, youthful crowd. Also nearby is Cannes, famous for the yearly film festival. Cannes also attracts a posh crowd with its exclusive beaches, shopping boutiques, and sparkling climate. Of course, a review of France tourist attractions wouldn’t be complete without mentioning Paris. Paris has an abundance of monuments, more museums than one can see in a month, and diverse nightlife. St Tropez is a fantastic destination to live it up, party like a rock star, and sun on the beach. If you’re worried about money, spend the day on a St Tropez holiday, then move on to Nice for the night, or avoid the hotel–party all night and sleep on a train out of town. 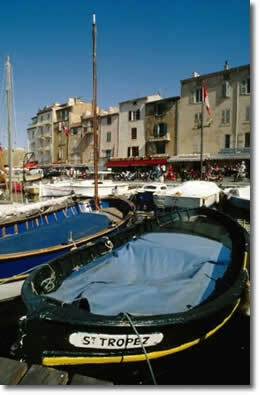 Any way you stay, St Tropez is a fun, sun swept destination on the French Riviera. © 2006 www.rivieradreamhome.com - All Rights Reserved.